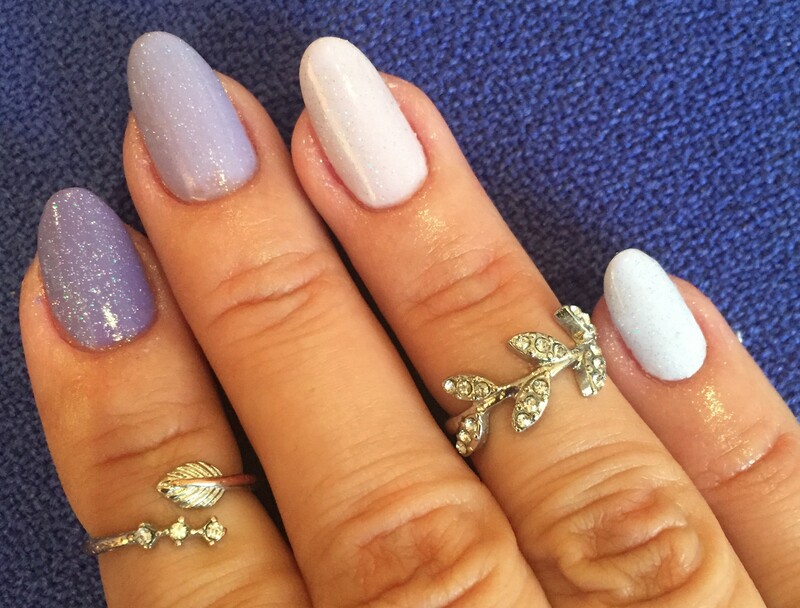 A very simple but super cute and fit-for-spring manicure this week: shades of lilac, one of each finger. Starting from the thumb with Colorama Noite de Gala (a dark plummy purple) Makeup Gallery Parma Violet (a beautiful violet lilac), Essie Full Steam Ahead (a shimmery light lilac), Nails Inc Cambridge (a pale lilac) and L’Oréal Paris Color Riche Nouvelle Vague (an almost white, bluer lilac). All topped up with the beautiful Nails Inc Electric Lane holographic glitter topcoat. 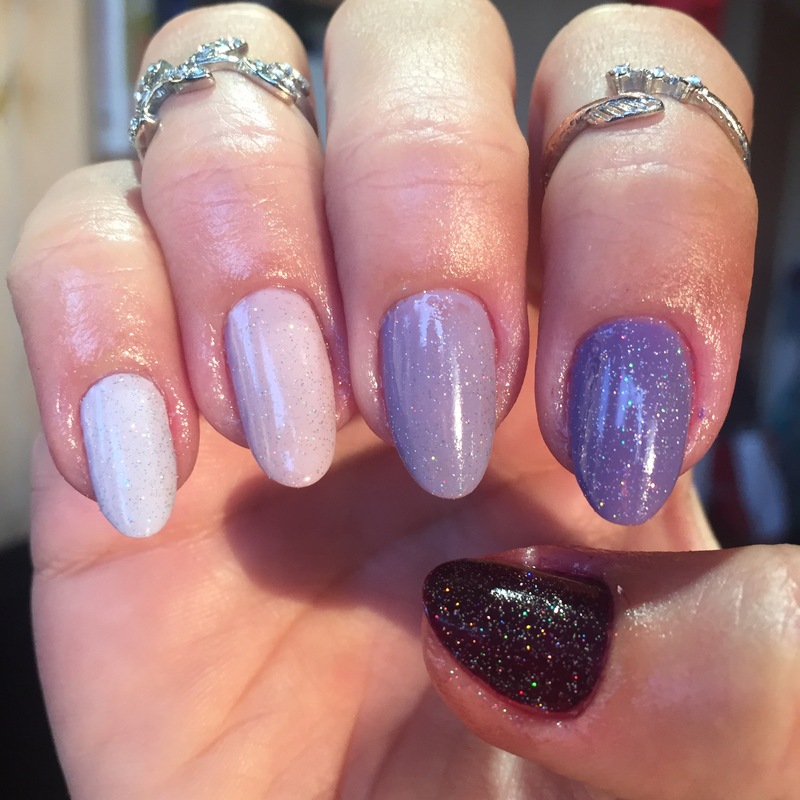 A super quick, elegant mani – win-win! Thank for visiting and taking the time to comment. I really love lilacs on my nails… it is such a pretty colour! Thanks for your comments and visit!